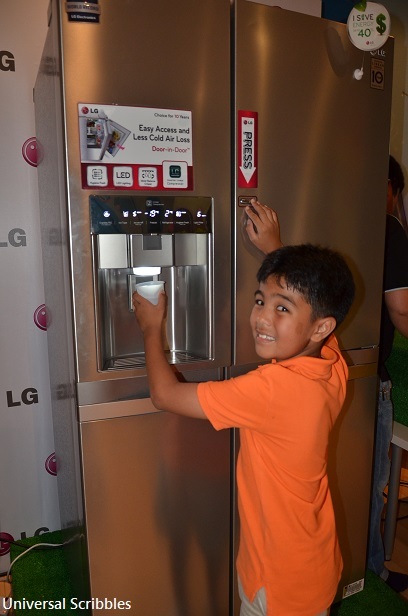 LG Electronics (LG) is committed to enhancing the modern family’s ever-changing needs and lifestyle demands. 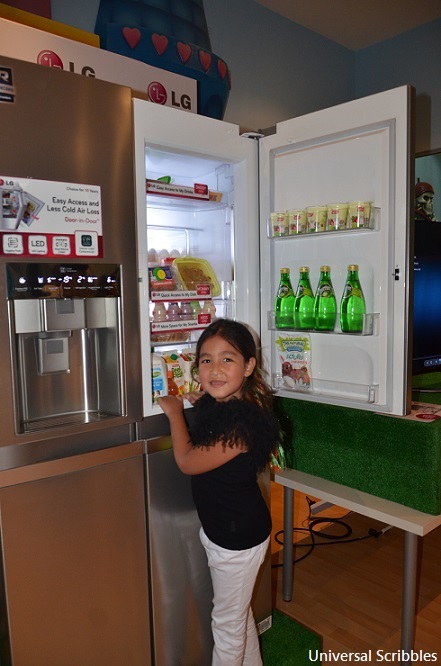 To that effect, it recently launched Singapore’s first Warm Wash Top Load Washing Machine, a Mini Washing Machine and large capacity energy-saving Door-In-Door Refrigerator. LG’s launch event was held at Amazonia Singapore, a fully-integrated fun Centre with a 3D Glow Golf area, a huge Jungle Play Gym and a Space Ball room. Of course, my kids wanted to tag along. 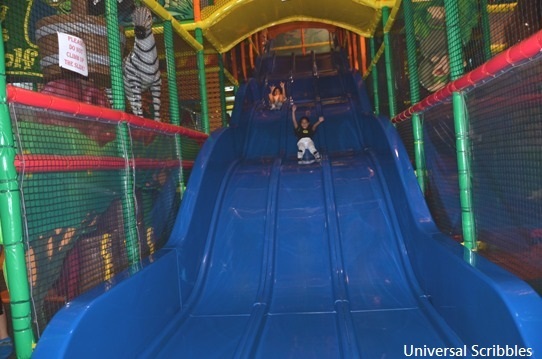 As soon as we arrived at the popular indoor playground, they gave me a “See-you-later-mom” wave and disappeared into the maze of FUN. 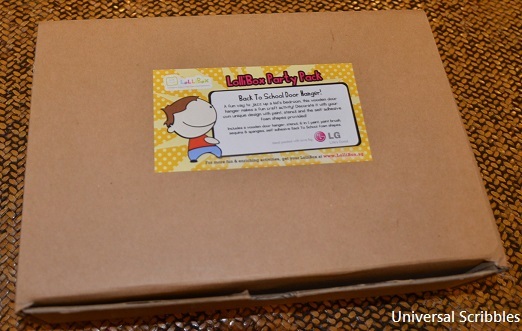 Off I went to review the LG’s latest featured products. First in Singapore, this top load washing machine aims to save consumers time by making each wash more effective. With the Warm Wash option, consumers have the flexibility of washing with either cold or warm water. 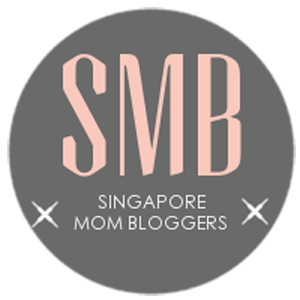 This is especially helpful for families with working parents and are often pressed for time. The Allergy Care option is also great for families with members who have allergies or have pets – LG tested the optimal temperature for the effective removal of stubborn stains, dust mites, pollen and pet fur. Singapore’s first warm wash with built-in heater that comes with high jet spray and child-lock features. Top Load Washing Machines with soft closing safety door. Introducing WD BABYLUV, LG’s Mini washing machine that offers eight specialized washing courses, including an all new Baby Care Wash. You no longer have to worry about stains or overnight soaking of your soiled baby laundry. The Baby Wash course uses higher water temperature to effectively remove the stains. 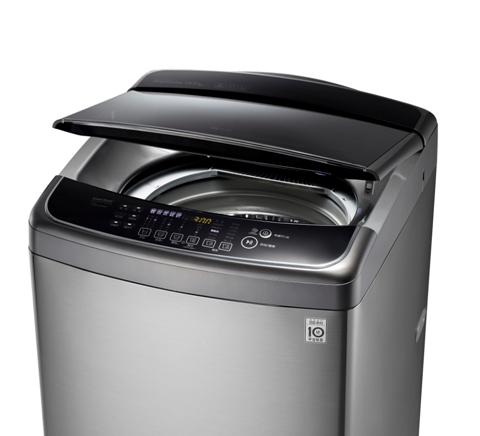 In addition, this super slim washing machine is only 36cm in depth, and is ideal for smaller apartments or utility space. 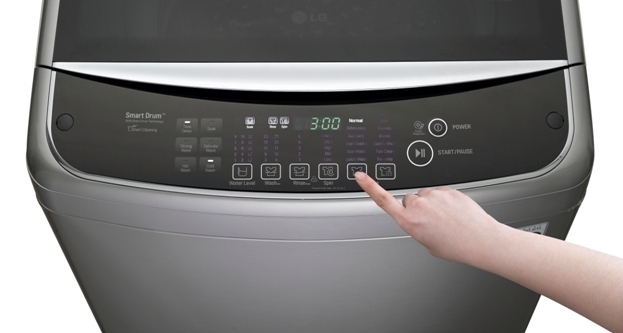 However, it is big on action as it is fitted with a 6 Motion feature that uses 6 different hand washing techniques to gently and effectively clean your delicate laundry. 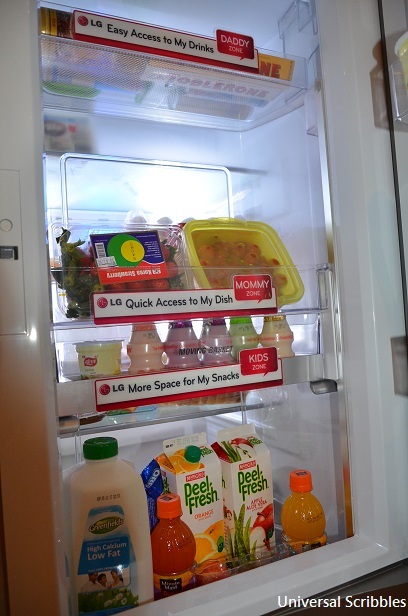 LG’s latest design incorporates innovative features such as the Door-in-Door, an ultra convenient double-layered system, Hygiene Fresh, an air filtration system and LG’s proprietary Inverter Linear Compressor to enable its refrigerators to stand out. These three features ensure that your refrigerator conserves energy, keeps food fresh for a longer period, has low noise and has a longer life capacity to serve your family. Smart touch button system to select water or ice and to adjust the temperature of the refrigerator to keep your food at its freshest. Opening only a small section of the door reduces the loss of cold air by up to 50% as compared to opening the entire refrigerator door, thus keeping food inside fresher for a longer period of time. Love the different compartments for daddy, mommy and kids. You can store up to 71 cans of soft drinks in this compartment – great when you have a party! Click HERE to know more about some easy and healthy recipes for busy parents provided by LG’s Smart Living nutritionist. After the product review, I went looking for the kids at the indoor playground. The 3D Glow Golf area and Space Ball were closed for the day (to our disappointment), but my kids were still very well entertained by the Jungle Gym and even the Toddler Area. Kids had a whale of time sliding down these giant slides. The kiddos had a ball at the indoor playground. Before we said goodbye to Amazonia Singapore, we collected our LolliBoxes as a parting token from LG. How cool is that? 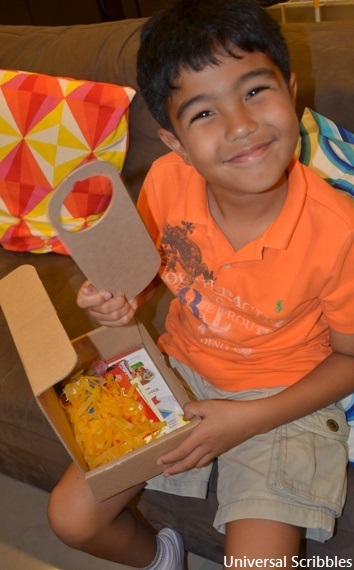 A Back-To-School Door hanger from LolliBox! If you like this post, connect with me on Facebook, Twitter and Instagram or share with me in the comments below what you think of LG’s latest merchandise or recommend other products that you think I should try out for my family.